Kanna Lakshmi Narayana was born on 13 August 1955 in Nagaram Palem, Guntur District. He was the youngest child born to Kanna Rangaiah & Kanna Masthanamma. A successful weightlifter, Kanna Lakshmi Narayana was attracted to politics from a very young age. Hailing from a political family of Guntur, Kanna Lakshmi Narayana has since had a political career of his own, now lasting about 40 years. Getting on his bicycle during his junior college days, Kanna Lakshmi Narayana, a B Com graduate, used to invite all to JOIN NSUI by writing on the walls and this was his way of getting initiated into politics. Kanna Lakshmi Narayana has also competed in shooting, winning a gold medal. 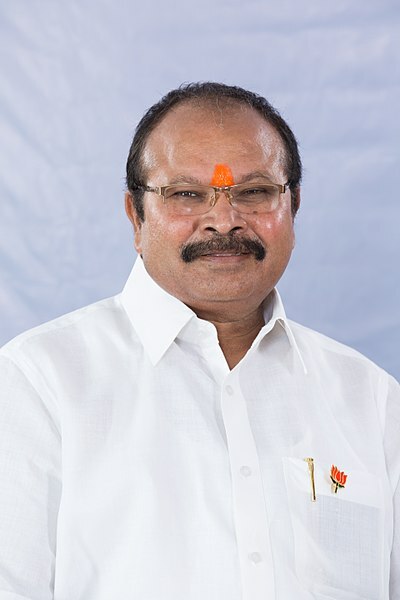 Kanna Lakshmi Narayana won the election to the State Assembly for the fifth term from Guntur (West) Assembly constituency in 2009. He won from Pedakurapadu, the biggest constituency in Andhra Pradesh, for four straight terms, from 1989 to 2004. He joined the BJP on 27 October 2014 in Delhi in presence of Amit Shah, its national president. 1972 1978 : President, District NSUI, Guntur. 1979 1985 : Worked as development officer, New India Assurance Company. 1986 1987 : President, City Youth Congress, Guntur. 1996 1998 : General Secretary, Pradesh Congress Committee, Andhra Pradesh. Under the Stewardship of Late Dr. Mallikarjun, President.